Rules: Attach to target raiding hero. 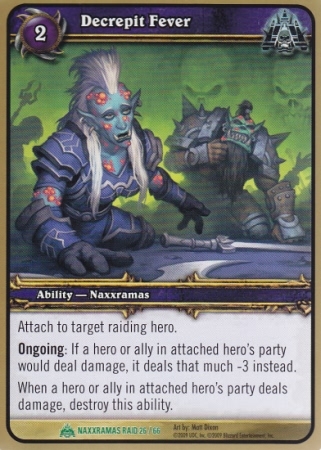 Ongoing: If a hero or ally in attached hero's party would deal damage, it deals that much -3 instead. When a hero or ally in attached hero's party deals damage, destroy this ability.